Biomimetric recognization cameras of Industrail level,suitable for all kinds of different materials;Original imported sensor with pixle 5400 elements,line frequency at 10000 frames/second;LVDS communication effectively enhanced Common mode rejection ratio,and super reliability;Internet communication technology with high speed image acquisition function;images of material visable at operation interface. All new customized industrial camera lens,higher sharpness and brightness,wider spectrum,large DOF and lower distortion,fully enhanced resolution;Wide spectrum;high reliability and steady temperature LED lighting system configuration,light auto-adaptation technically following the environmental change,massively increased detecting scope with consistency and continuity. All electric components are international famous brands such as Schneider,SMC,MeanWell et which are of good safety and reliability. Linux high reliability operation system,easy and professional integration,flexible configuration;Visual analysis technology,remote control access;big data cloud technology analysis. Wide range voltage,All DC power and APFC power supply,effectively restrain power harmonic,high safety and reliability. 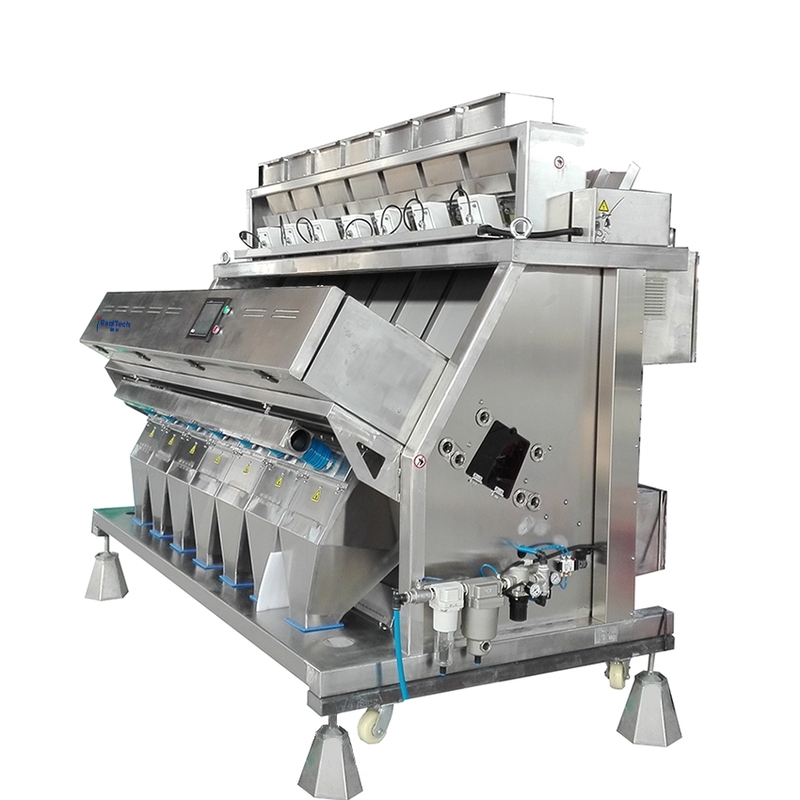 Productive,high voltage DC PWM control feeding system,maintain steady capacity adjustment;Special thickness craft processed chutes,greately reduced the friction coefficient,material flow smoothly and bigger capacity. Ejectors of ultralow remanence material,super conducting magnetic technology,key parts optized from Japan,high frequency of switching;high and low voltage and PWM control driving technology;powerful central point identifying technology,accurate shooting,and low air consumption. 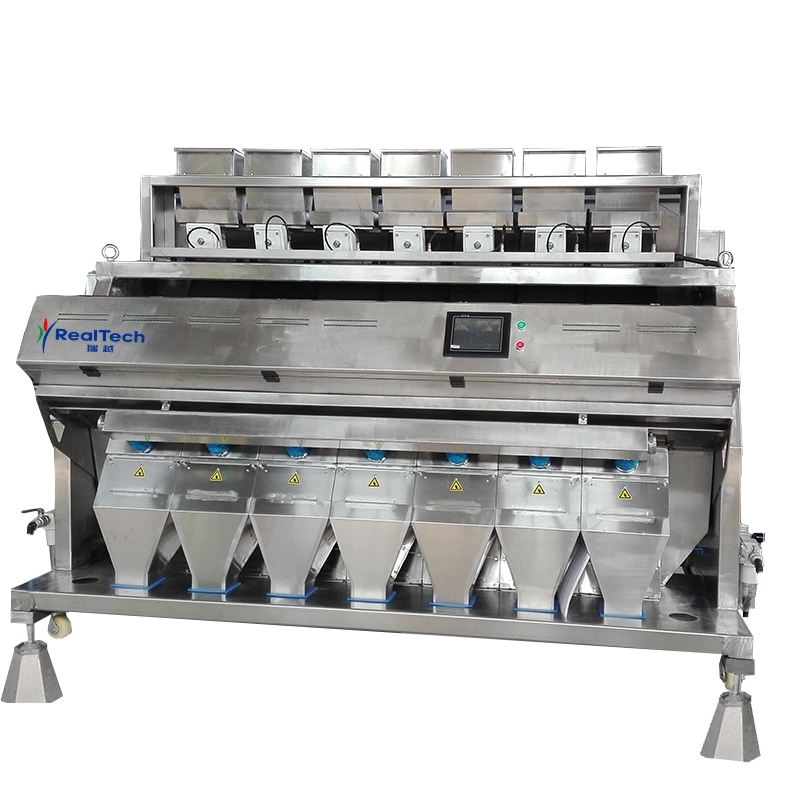 Intelligent dust removal system,automatic sensor cleaning,more reliable;air curtain system and a unique combination of ventilation system to ensure camera is recognized without interference,a substantial increase in effective production.